He is famous for what was supposedly his favorite saying: “Speak softly and carry a Big Stick!” In fact, his favorite saying was “Do what you can, with what you’ve got, where you are.” He loved power, and he used power like no president before or since, not even Lincoln in wartime – but always with a profound sense of responsibility. He fought hard for regular people, he held out for high ideals, and he never preached anything he didn’t practice. That was the example he left us with. His courage, his honesty, his character, his energy and his profound vision for America are beacons shining through the ages. At his best, he showed us what we can be at our best, and taught us what it means to be Americans. Our debt to him in this is almost beyond calculation. But even more than that, his attraction lasts as one of the most interesting men who ever lived – a man who was interesting because he was interested. There is no subject about which he did not thirst for knowledge: history, politics, philosophy, nature, linguistics, taxidermy, poetry – the list is endless. He loved books – he read in seven languages, including Portuguese. He wrote books – thirty-six books in all on a bewildering variety of subjects. He was a man who loved to talk philology with Harvard professors and bug collections with six-year-olds. His colossal and kaleidoscopic passion for life and learning is just another of the many layers of his personality and another cause for our admiration. 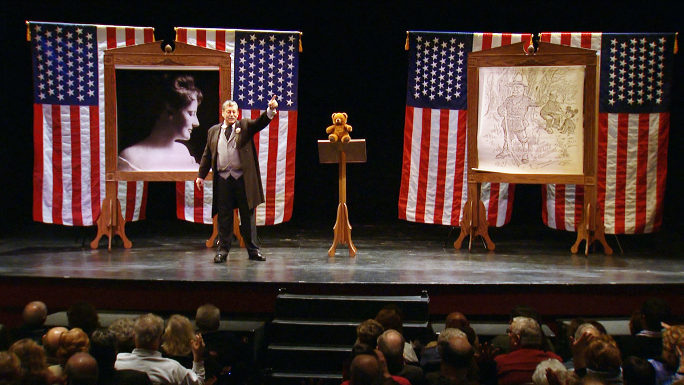 In the words of Derek Evans, who so aptly portrays President Theodore Roosevelt, To bring this astonishing man alive...is the purpose of The Man In The Arena. 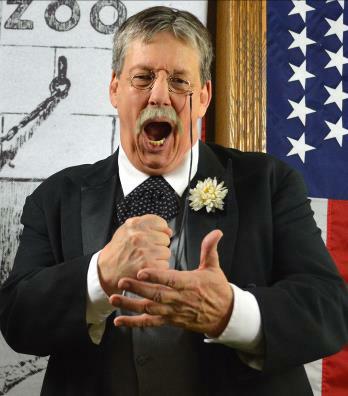 Derek Evans is a professional actor and scholar who has spent a career of almost 40 years engaged in educational presentations for schools, colleges, museums and libraries. He has conservatory training at the American Conservatory Theatre in San Francisco and at New York University and holds bachelors and masters degrees from Northwestern University. He is a veteran of over 40 stage productions in New York, Philadelphia, Chicago and San Francisco. In addition to his legitimate theatre career, from 1969 to 1988 he wrote, produced and performed in educational programs in association with Chicago’s Urban Gateways. These totaled almost seven thousand performances for more than two million students over a period of twenty years and included Shakespeare, opera and American and British literary adaptations. 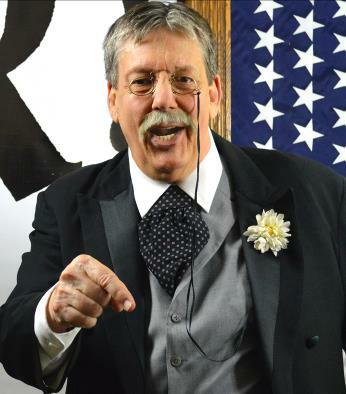 Since 1995 he has concentrated on living history presentations on Theodore Roosevelt, which have now totaled over 500 performances.